Due to the expansion of our new 10 acre site we are looking for class 1 drivers to join our highly professional team. The successful candidate must have pride in their vehicle as our fleet are of the highest quality. Multi drop experience is a plus but not a must, you must hold a current CPC card you must have a basic knowledge of the UK and a good means of navigation. The successful candidate must have good communication skills must be of smart appearance and be polite and considerate to customers. 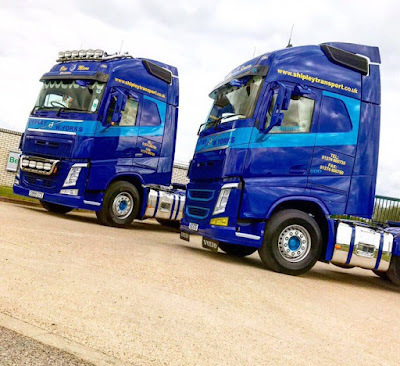 This is a full time permanent position, should you be successful at interview you will be required to take a driver assessment before being offered the position. In return you will be paid good rates of pay, receive full uniform and paid holidays. This position pays £9.00 per hour for 50 hours £11.50 per hour after 50 hours £12.50 for Saturdays £13.50 for Sundays plus £150 per month bonus plus fuel bonus. This is paid weekly into your bank account, holidays are paid at average holiday pay.